An absolute giant of a centre-half, ‘Stacks’ is now in his second season with Khalsa after making a huge impact during his first campaign, winning both the Committee’s Player and Player’s Player of the Season awards. 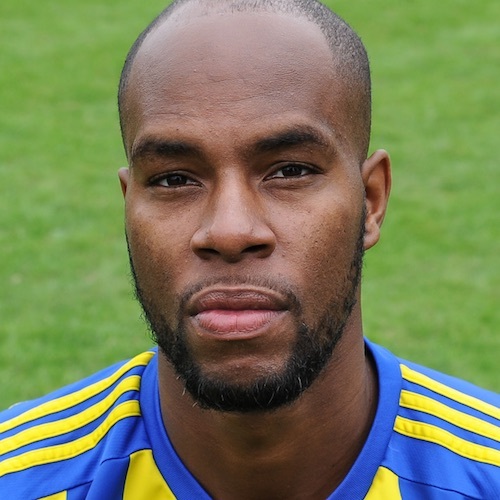 Stacks counts Chasetown, Stourbridge and Stafford Rangers amongst his former clubs and joined Khalsa after a second spell with the Scholars. As well as forming defensive partnerships with either Tes Robinson or Shawn Boothe, Stacks was occasionally forced to stand in at full-back on several occasions, rarely putting a foot wrong. Stacks once caused a league cup semi-final to be delayed for five minutes at half-time because he wanted to renew his car insurance online.